2. For the 25 Naira package, only ONE (1) minute of call time is available to call other networks, the remaining TWO (2) minutes is for on-net calls i.e glo-glo calls. 1. 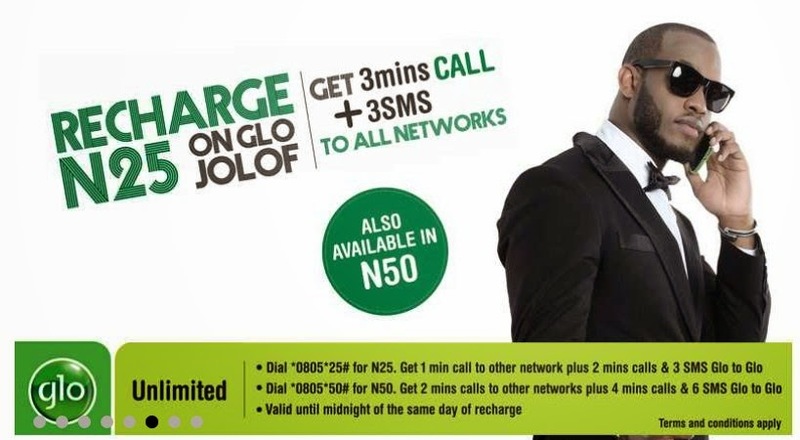 The whole of the sms allocated to the glo jolof package is for glo lines ONLY. You can not use it to send sms to other networks. Comparing this package with the Airtel Talk More Package, i believe Glo can do more. What's your take on this, let's hear your opinion via the comment box below and don't forget to share this article as well.